While some investors believe the federal legalization of marijuana is still a long way off, one of our experts makes the case that this could happen by 2020. Money Morning Special Situation Strategist Tim Melvin has laid out the reasons why the federal legalization of weed is likely to happen by next year. 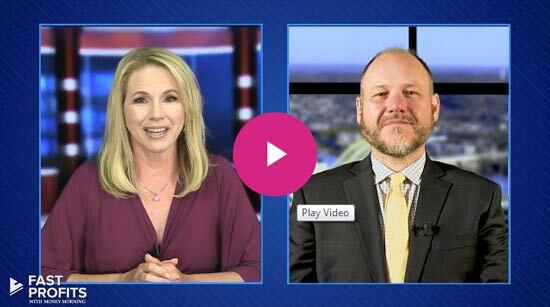 Now that the campaigns for the next presidential election are beginning to take shape, there will be a number of issues that will take center stage. While it may seem that legalizing pot nationwide will be part of the Democratic platform, Melvin makes the case that U.S. President Donald Trump will be the one who will make this revolutionary change. According to Melvin, it would be silly to keep marijuana as a Schedule I drug alongside substances like cocaine and heroin. There's simply no comparison. Not only is pot on par with alcohol in many respects, but it also has fewer health side effects than a lifetime of heavy drinking. And with 10 states already legalizing recreational marijuana, the federal prohibition is simply untenable. While the major Democratic contenders all favor some form of ending the federal pot prohibition, its biggest champion may be its most unlikely. Melvin argues Trump will push for the full legalization of pot once the election heats up next year. We're coming up on an election year again, and an overwhelming majority (60%) of Americans favor marijuana legalization. With the likely Democratic nominee favoring legalizing marijuana nationally, President Trump might be tempted to cut their support off and end federal restrictions against the plant. Like him or not, Trump is a master at getting votes when it counts and will be able to rally the millions of voters that want full legalization in the coming year. In fact, cannabis reform is one of the few issues that now has some bipartisan support. Several bills have already been introduced with support from both sides of the aisle. It was Republicans that took the lead in adding hemp to the 2018 Farm Bill, which created a massive overnight market for CBD products. This is a sector currently worth roughly $2 billion, but one that is expected to double in just a few years. Melvin points out that this country has some specific needs that can be fulfilled by a windfall of new cannabis tax revenue once this approval goes through. This includes a crisis with pensions, exploding populations, and crumbling infrastructure. States that have already legalized marijuana have been enjoying the financial benefits of these choices to the tune of hundreds of millions of dollars in annual tax revenue. For example, California reported $350 million in taxes collected in its first full year of both medical and recreational legalization. Once pot is legal on the federal level, prices are going to drop to the point where the black market for marijuana is going to fall apart and disappear. This will certainly help cut down on the criminal element in communities across the United States. Just as it has in Colorado and California, revenue will skyrocket across the U.S., which will also allow the government to collect more tax dollars. Anyone can debate the moral side of using cannabis as well as legal sports gaming to balance budgets, but legalization is coming. It's only a matter of when and not if. 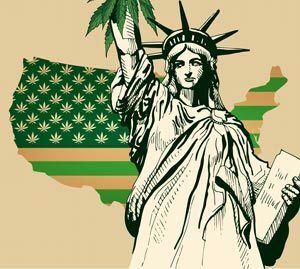 60 Percent of Republicans in New York Oppose legalization, but they use Marijuana, Cocaine, Heroine, and legal prescription drugs that cause similar effects using the same claims of pain and discomfort, insomnia, and psychological reasons. Big Pharma makes billions of dollars selling legal dope. It's an Industry, just look at the Fentanyl crisis. It's about making profits, not about caring for people, because that drug is too strong for people to use on an every day basis unless they're terminally ill. The Republicans opposed to legalization of Marijuana are an example of being a hypocrite. The real reason they won't support legalization is to continue the Financial Oppression of Black and Latino Americans, and abuse them by shuffling them into the prison system, so they cannot work in any high paying jobs, and are relegated for life to work at menial low wage jobs with no hope for pension, or proper medical coverage, and worse, Welfare, Food Stamps, and Medicaid, which the Government pays for by using Taxpayer Monies. Do you see how the financial health of the National Economy and all 50 States are impacted by racism, and greed? Now you know, and knowing is half the battle. Wake up to the Real World.